We love to get excited about holidays in this house. It may seem a little excessive, but if you can’t get excited about the little things then what can you get excited about? We all have work and school on Valentine’s day but I still like to do something special for everyone that helps us get a good and sweet start to our day. I found this fun little recipe for Valentine’s Day pancakes and it is simple to put together even on fast-paced school mornings. For this fun holiday breakfast I just use my previously frozen pancakes and leave out the fun fixings for the holiday theme. For the full tutorial check out Aunt Jemima’s site for the rundown. As I said, you can use their pancake mix or your own, whichever you prefer. Enjoy! This entry was posted in Food & Recipes and tagged aunt jemima, food, Holidays, pancake breakfast, recipes, the boys store, v day, Valentine's Day, valentines breakfast, valentines treats on February 4, 2019 by Lacy. We love to share Valentine’s Day gifts that boys would be happy to share in their classrooms every year. This year we found a fun idea that will please boys and girls. 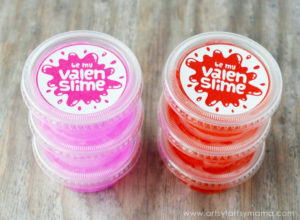 ValenSlime. Slime is a huge hit right now. So, of course, it would make sense to use it as a gift during birthday parties, classroom parties, and valentine’s day. Slime is also simple to create, easy to customize, and so inexpensive to make in bulk. All you need is a few ingredients, and some little containers to store the slime in. Thanks to Artsy-Fartsy Mama we also have an incredibly cool tutorial and free printable for this fun Valenslime! Artsy Fartsy Mama even has a fun and cool looking 3 ingredient sparkle slime that is perfect for valentine’s day. 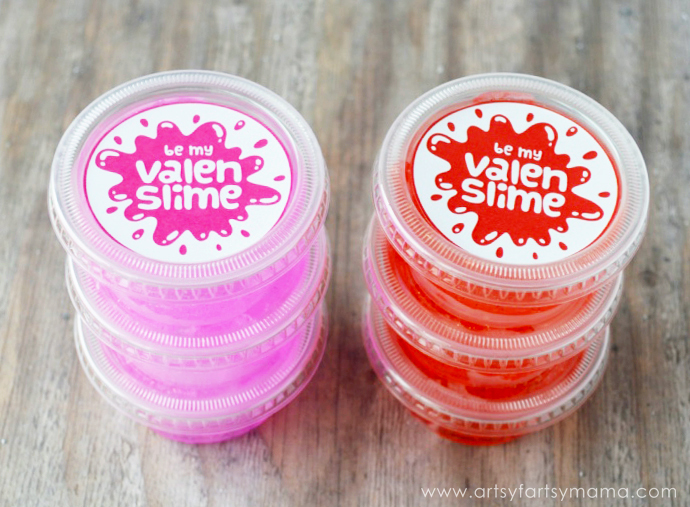 Simply head on over to her site to get all you need to plan an incredibly cool valenslime treat for your boys to hand out at school. This entry was posted in Activities and tagged candy free gifts, diy slime, easy gifts, Gifts, slime, the boys store, v day, valentines on February 13, 2018 by Lacy.